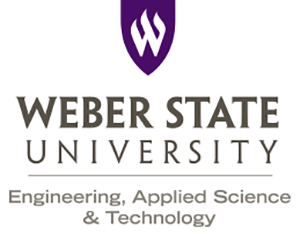 In the final days of the 2019 session, the Utah State Legislature appropriated $50 million for Weber State University to construct a new building for the College of Engineering, Applied Science & Technology (EAST). The Noorda Building for Engineering, Applied Science & Technology will help accommodate the rapid growth in computer science and technology programs at Weber State. It will replace the outdated Technical Education Building, built in 1957. The Noorda Building is one of two new WSU buildings, one in Layton and one in Ogden, that will provide exciting opportunities for students in East. The Northern Utah Academy for Math, Engineering & Science (NUAMES-North) high school has guaranteed an additional $7.5 million to operate the charter school in the building. Several private donors have also contributed toward the $58 million project. Keith Titus, chief executive officer of Ogden-based MarketStar and chair of the dean’s advisory board for EAST has helped advocate for the project. The 143,000-square-foot building will be the home of electrical, mechanical and systems engineering, engineering technology, computer science and professional sales departments. Additionally, four centers will be housed in the building: The Concept Center, the Center for Technology Outreach, the National Center for Automotive Science & Technology and the Alan E. Hall Center for Sales Excellence. VCBO Architecture is working on the design, and Big-D will begin construction in spring 2020 with completion expected in 2022. In 2016, the Ray and Tye Noorda Foundation pledged the largest single donation ever received by Weber State. Funds from the gift established an endowment to support scholarships, research and travel for students, faculty and staff. The remainder of the donation will help with the building’s construction. Weber State will break ground in spring 2019 on the Davis Computer and Automotive Engineering Building at WSU Davis in Layton. The building will be used for automotive, computer and software engineering courses to meet high-demand degrees in northern Utah. The $20 million project also will include a new primary entrance to campus from State Route 193, which will relieve pressure on the existing entry and allow faster access.